Technical Support Jobs In Chennai | Sutherland Recruitment Drive On 16th December 2017. Warm Greeting from Sutherland!!! 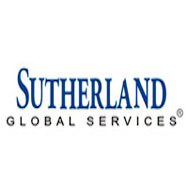 Sutherland is hiring experienced candidates for the role of Technical Support position. Willing passionate can come attend Sutherland Walkin Drive on 16th December 2017 in Chennai location. Sutherland Careers will offers winning environment for the selected candidates with extra benefits and incentives in their organisation. So the people who are interested by be hurry in apply for Sutherland Walkin Interview before the last date. For more information aspirants are suggested to check Sutherland official website. Getting a job in a competitive world has become very tough task for the passionate to reach their goals. To make easy manner we are providing complete information of IT Jobs on our blog All India Jobs. Nowadays many of the applicants are not showing interest toward BPO Sector. It also shows the best career path for the candidates to get succeed in their life in the fabulous way. So we advice the applicants to attend Walkin for Sutherland Technical Support Jobs openings in Chennai. Applicants get place in Sutherland Recruitment Drive to boost up your career in the winning environment of learning the new technical knowledge towards the organisations. Before going to attend Sutherland Walkin Interview it is right time to practice Sutherland Placement Papers along with Sutherland Test Patterns to gain top score. Job hunters who are having efficient communication skills can attend Sutherland Walkin Drive with mandatory documents. Assist customers with any Malware, Virus, Adware related issues. Assist customers with installation / un installation of McAfee products. Candidates must be able to communicate fluently in English . Looking for both UG/PG . (in any discipline). Candidates with experience in Customer support / Technical Support can apply. A process transformation company, Sutherland rethinks and rebuilds processes for the digital age by combining the speed and insight of design thinking with the scale and accuracy of data analytics. We have been helping customers across industries from financial services to healthcare, achieve greater agility through transformed and automated customer experiences for over 30 years. Headquartered in Rochester, N.Y., Sutherland employs thousands of professionals spanning 19 countries around the world. Sutherland’s process transformation services innovate at the intersection of business and technology to transform processes that realize our client’s vision. We are experts in accelerating performance and achieving high-impact outcomes through winning execution strategies across the entire business and customer lifecycle. How To Apply For Sutherland Job Openings??? Sutherland Job available in Chennai for Technical Support process. Willing applicants can direct attend Sutherland Walkin Drive on 16th December 2017 from 11 am onwards. So candidates prepare well for and get hired for Sutherland Technical Support Jobs. Get more information about Sutherland interview details from below sections.